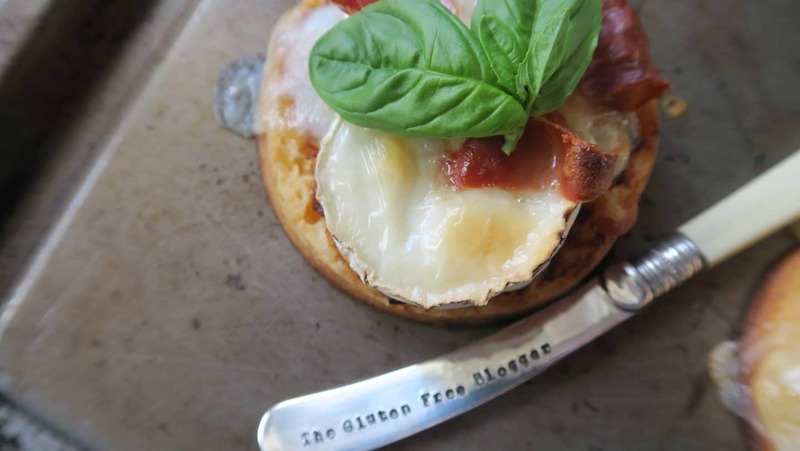 You may have seen earlier this week I posted my gluten free maple French toast recipe using the Newburn Bakehouse crumpets – well today is part two of the #CrumpetChallenge and today I am sharing my gluten free crumpet mini pizzas! These are so easy to make and versatile, you can top them with pretty much anything you like. In the hamper I was sent, I found this delicious sun-dried tomato puree with garlic from Epicure for Creative Cooks, and thought this would make a good base for my toppings. 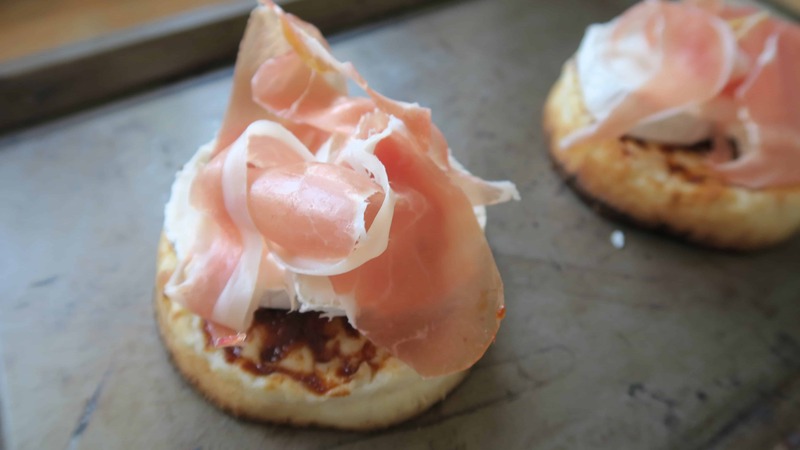 I then decided I would top mine with goat’s cheese and Parma ham, as these are two of my favourite toppings – and one of the best combinations! 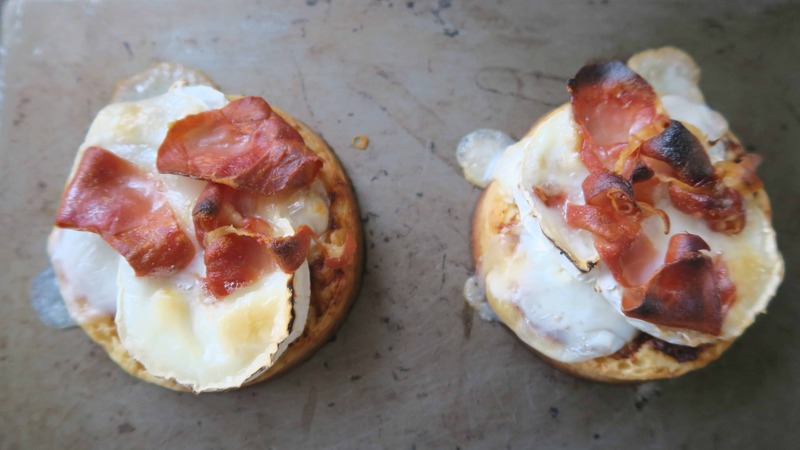 These pizzas literally took me all of about a minute to top, and only 10 minutes to cook – they really are so easy. I think this would also be a fantastic recipe to make with children – you could set up an array of toppings – anything from pepperoni and chilli beef to sweetcorn, red onion, olives or even tuna, pineapple or ham, and let them design their own combinations. 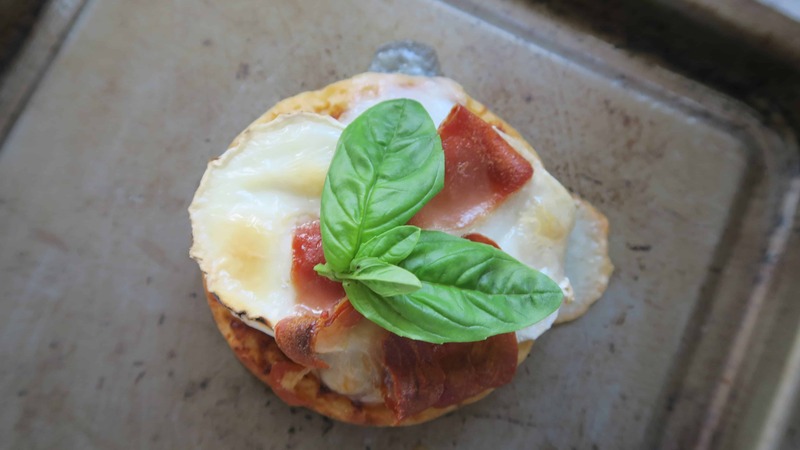 I think these mini crumpet pizzas would also be fabulous for a party table. They’re a little bit for canapés but make great finger food as the base is pretty solid, so you can pick them up and bite into them – much more fun than a knife and fork! 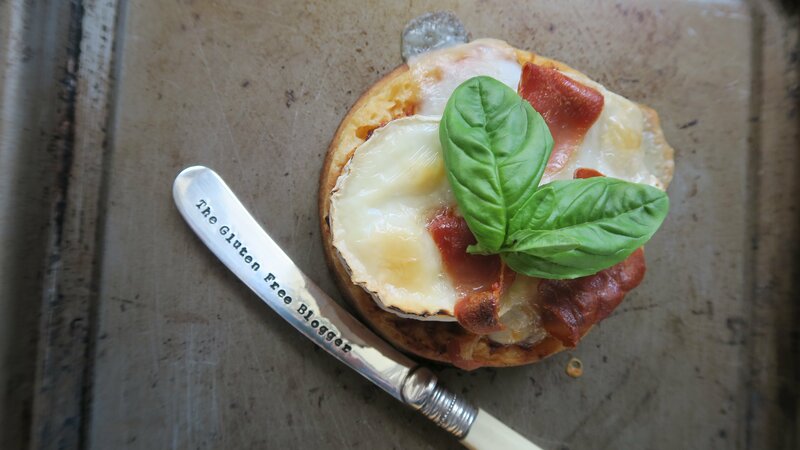 These yummy mini gluten free pizzas are made with crumpets and perfect for topping with all sorts of gluten free treats. 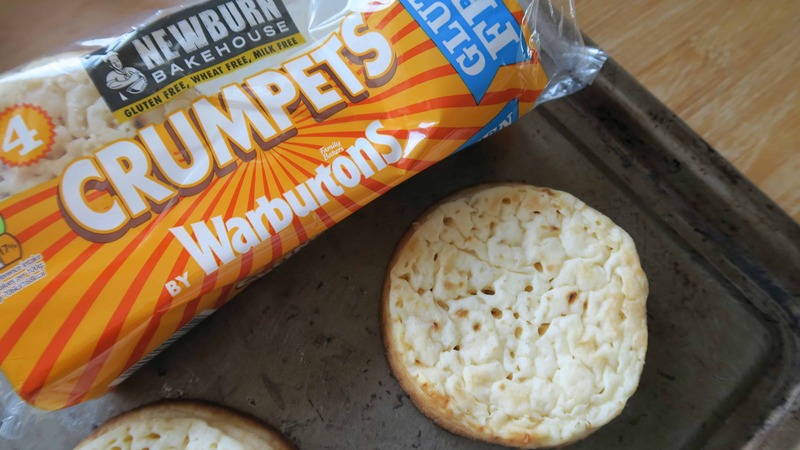 Place the crumpets on a non-stick baking tray, flat side down. 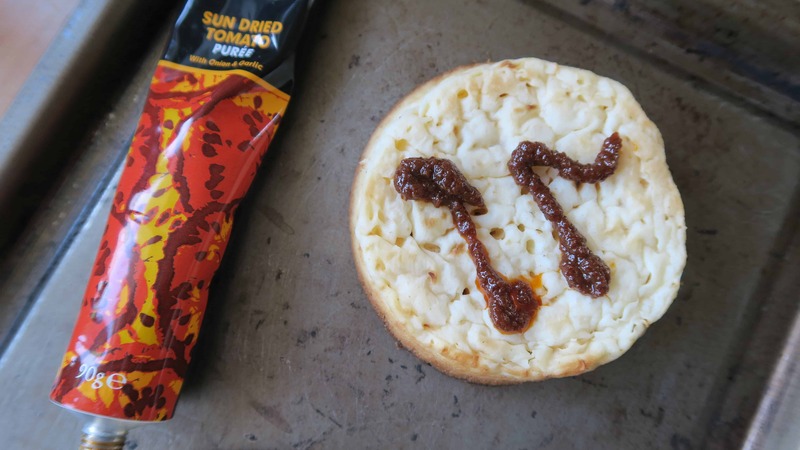 Spread the tomato puree on each crumpet so it covers the whole top. Top with the sliced goat’s cheese and the Parma ham, and place in the oven for 10 minutes. Remove from the oven, top with a sprig of fresh basil, and serve. It really is that simple, and so worth it! So there you have it – an easy, gluten free supper or addition to the party food table. 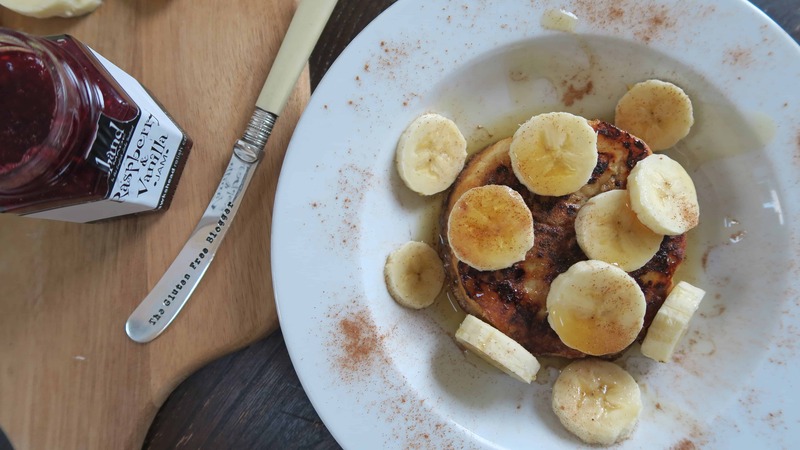 The crumpets are amazing for this as they go soft in the middle yet crunchy on the outside – perfect! A big thank you to Newburn Bakehouse for inviting me to take part in this challenge, it’s been so much fun experimenting. 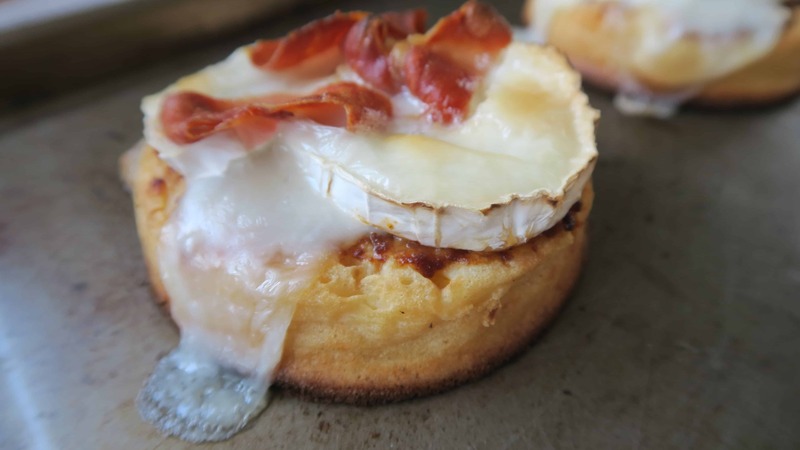 Oh, and for afters, make sure you check out my French toast crumpets too!